of the region in February. Prices here have grown faster than anywhere else in the country for the last 16 months in a row. 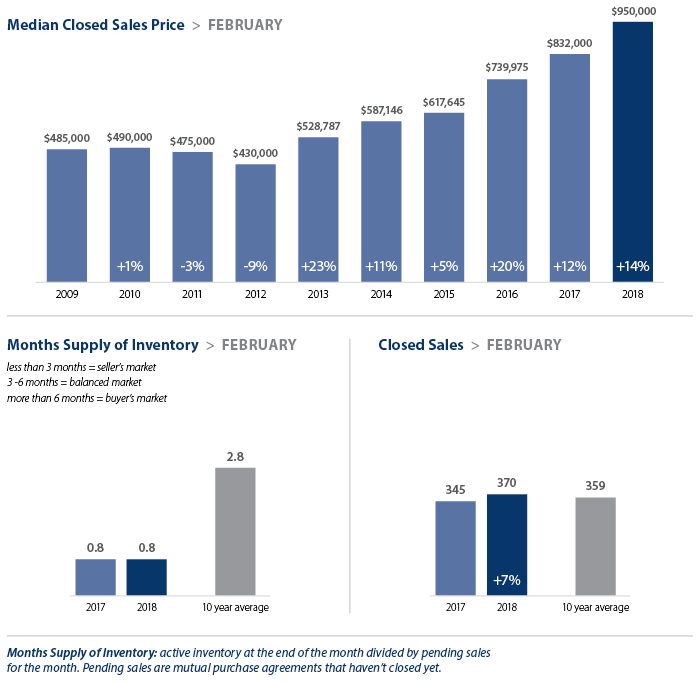 Demand remains high and inventory very low. Brokers are hoping the normal seasonal increase in listings this spring will help give buyers some relief. for the Eastside,Seattle, King County and Snohomish County.